It's a Fantastic Idea! 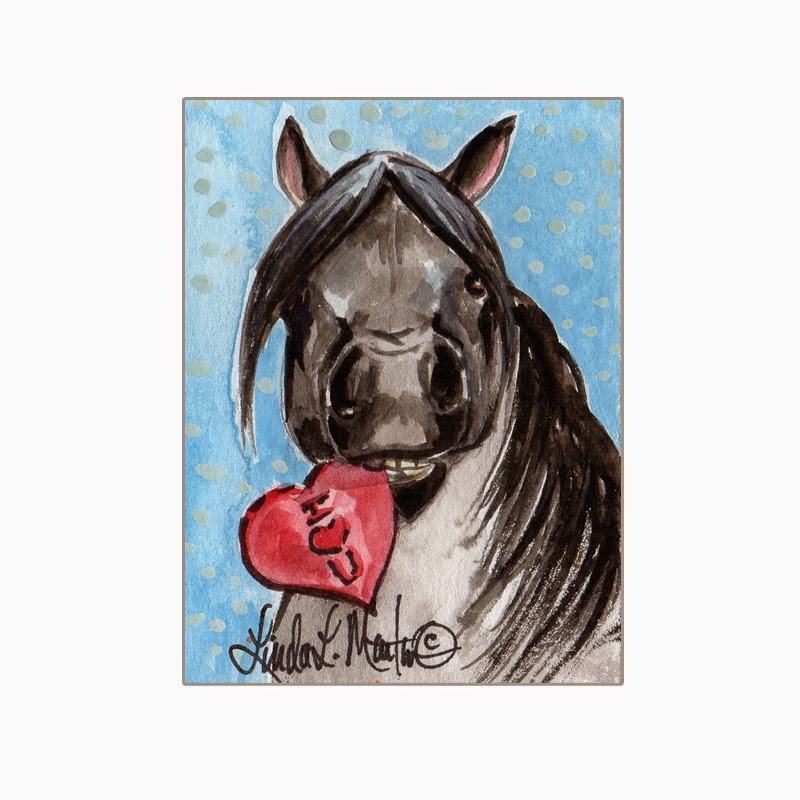 PONIES Valentines Released today!! The first 4 ponies were so popular that I just had to do more! 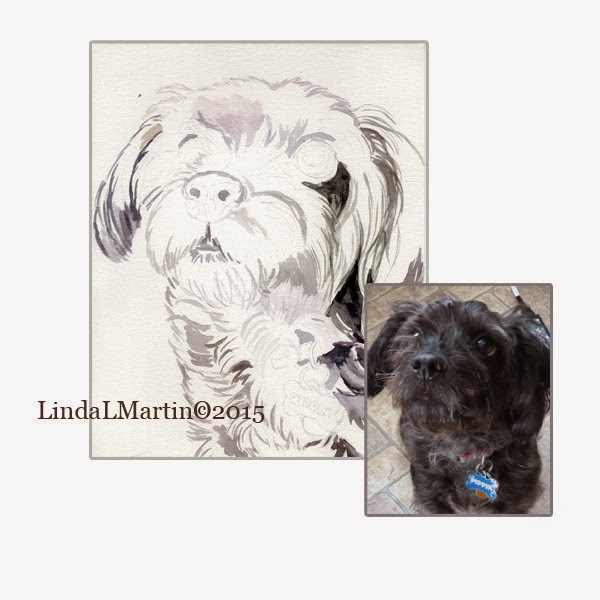 Now you can purchase them via Digital Download through etsy. NO Shipping! 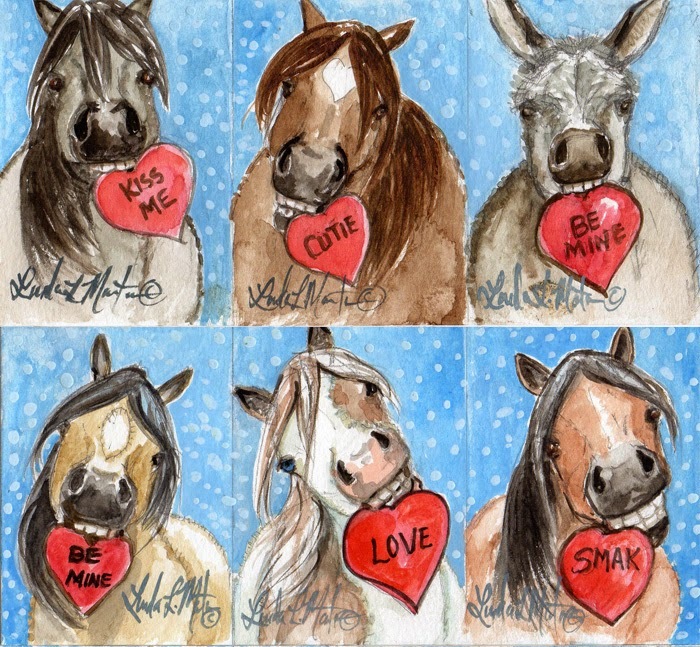 Featuring 8 little ponies and 2 cute burros, each with their own Valentine Message. Just complete the purchase, download and print. Then cut the little cards apart and write your message on the back. Cute, simple and easy to use. Plus You can use the little images for all manor of things from party favors to gift tags. Unlimited Private Use. But please do not use them commercially or for non-profit fund raising with out a limited license. Just contact me at info@llmartin.com for details. 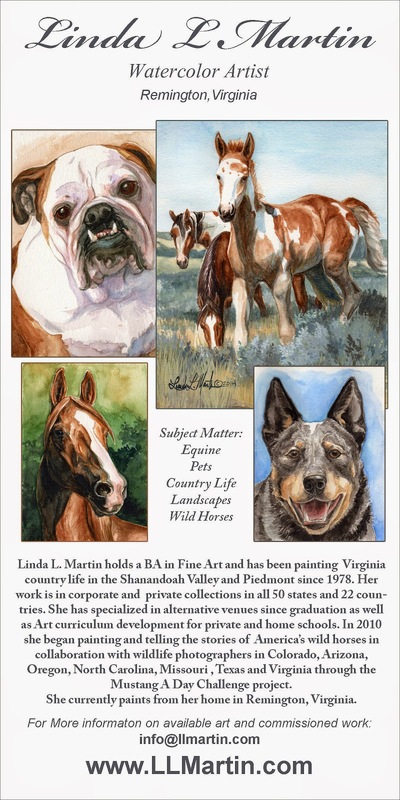 When in my high-school years, there were still places in the Shenandoah Valley of Virginia that had not been developed. Wide valley views and hollows between the mountains, that held seemingly never ending vistas, unbroken by power lines or roof tops. As you drove down valley back roads, against the foot hills, small towns with churches schools, general stores and fire departments just seemed to appear around a bend, only to disappear once you rounded the next. I spent my early college years and, a few years after, riding on mountain trails through out the valley with friends. 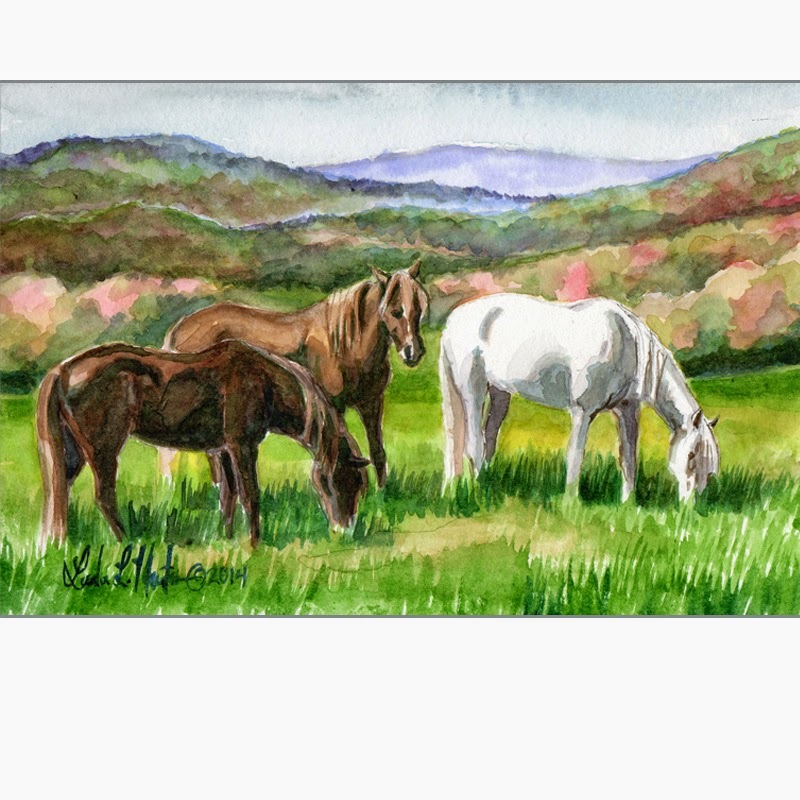 My hope had always been to have a place nestled in the valley, with changing seasons and horses that saw you and came to you whether you had a treat or not, just because they liked your company. 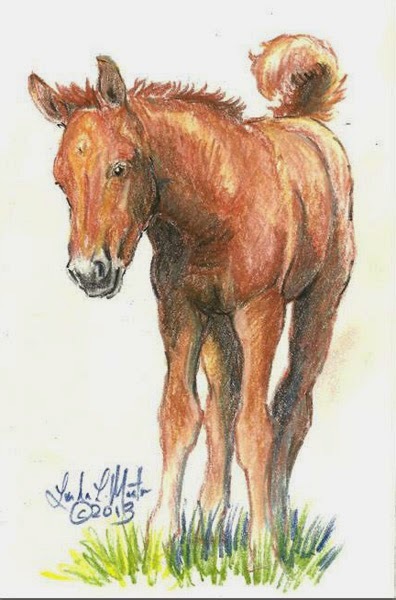 The Inspiration behind the cute Ponies, Astonishingly Fun! 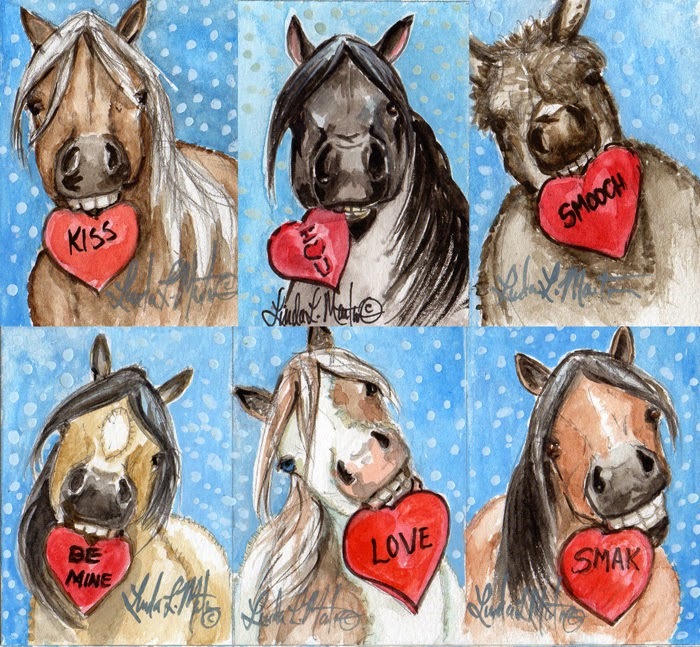 The Astonishingly Fun Story behind the Valentine's Ponies! 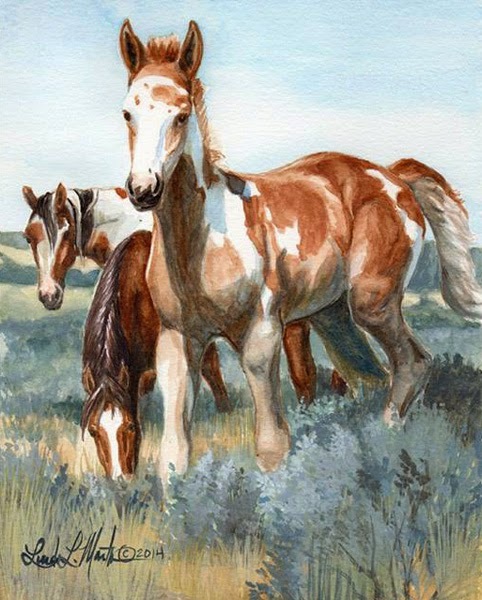 I have started on some very fun warm up miniature and small format paintings preparing to start my first mustang painting of 2015. 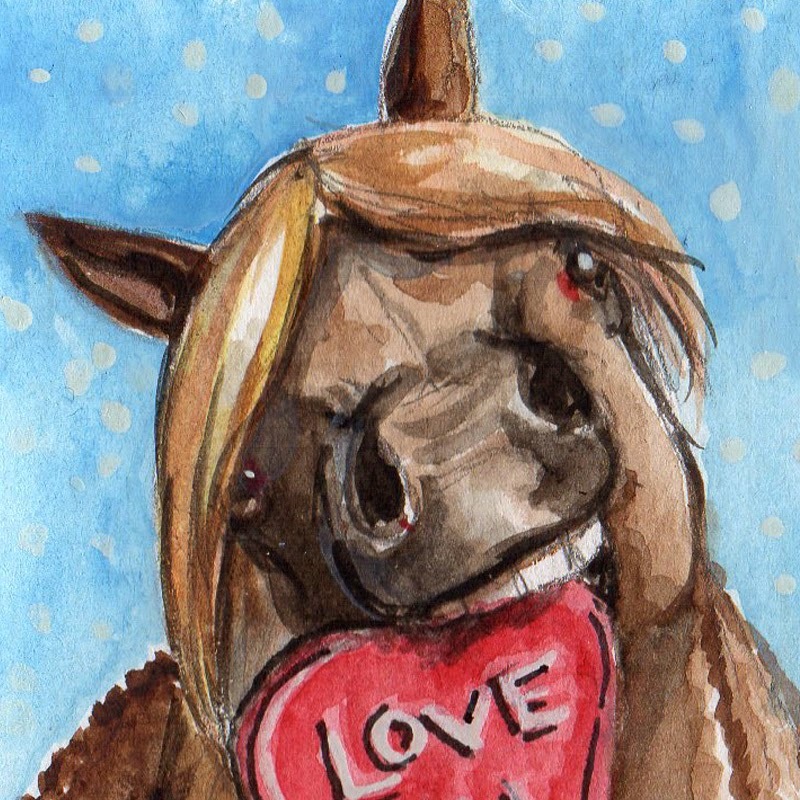 Today I worked on cats, doves and ponies for Valentines Day. early 1980s. Of course we rode horses but this pony was most memorable. Her name was Star and if you thought that this little 9 hand pony was a follower you would be wrong. She was the leader and a mischievous one at that. If you weren't there on time to feed it was likely that Star would jump the stone wall, bringing every horse on the place with her and go for a gallop to the nearby hay farm to ravage their fields. She was a bit of a thief, especially for ball caps and brushes that were left out instead of put away. 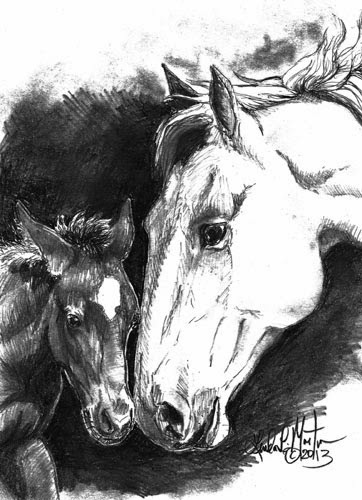 And Star loved to worry the older horses, who seemed to good naturedly tolerant her admonitions, but also never refused to follow when she commanded or obey when she demanded. One thing I remember about Star was that she loved her children. Star was especially tolerant when a tea party was eminent and never failed to accept the wearing of the bonnet for a cookie and a cup of koolaid tea. draws surprising attention in the first week of 2015! 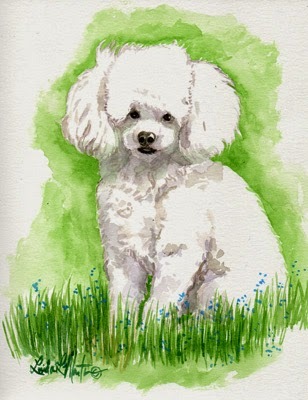 Adorable Full Body Toy Poodle Portrait! You have to see how cute it is! 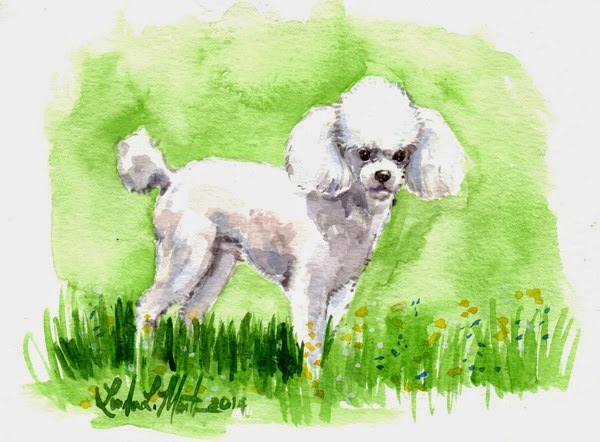 One thing that I have learned in all of my years owning and fostering poodles is that they have beauty stages. Stage one is always right after the groomers when they are finely clipped and smell so sweet. Stage two is that second stage where their hair is getting longish but doesn't become a problem. Stage three is that moment when you don't know whether to use hair clips or rubber bands to keep the hair from their faces and some times use a touch up trim to help manage their eye sight. Stage 4 is when they have gone beyond touch ups and rubber bands and just flat out need a real day at the groomers getting their trims, baths and prims. This adorable full body portrait is in that stage between "we can manage with a touch up trim" and "we need to get him to the groomers now!" Too cute for words is this cuddly little love bug. The moment that tips the scale is when he goes flying out the door and finds the yard rabbit poo to roll in. Then procrastination on a bath is no longer viable. Then its back to stage one when the sweet little trim and perfumed soaps win a place cuddling in bed until the next time. The Artist was Surprised at This Result! Here in this part of Virginia we have a lot of little gray birds that flock around our feeders. Called juncos, they are fearless tiny birds slightly bigger than chickadees. In Variations of gray mostly slate gray on the top and a buff color on their bellies they will persevere against squirrels, jays and the most fearsome of weather conditions. When I was painting the winter birds for the 2014 ACEO’s of Christmas I was trying to figure out how to make a gray bird in a mostly gray winter world pop and standout. 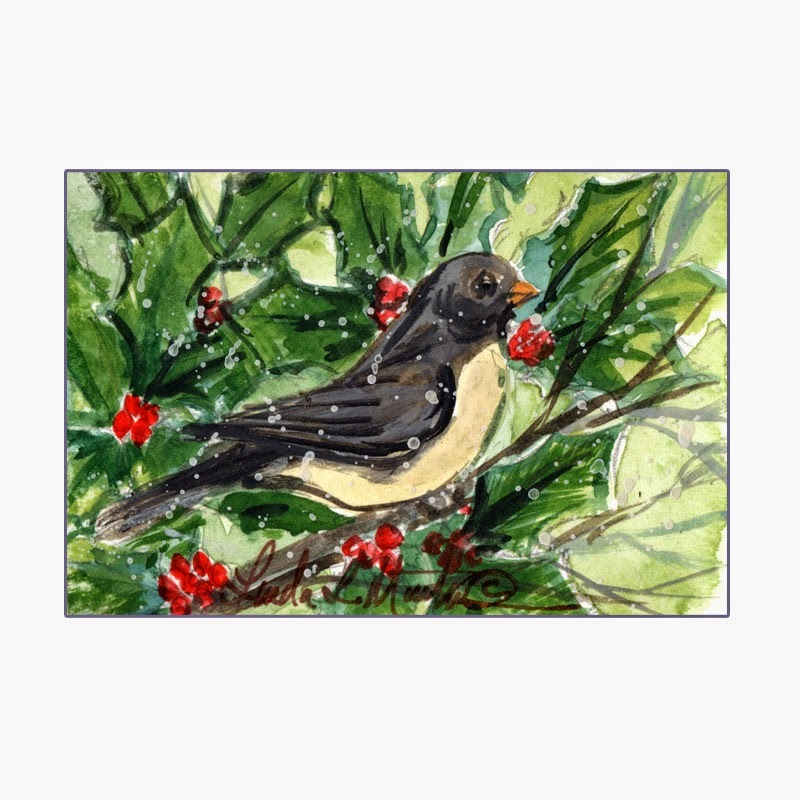 After painting several cardinals I thought why not place a junco in a holly bush and let the berries be the counterpoint to all the dark colors. Well it worked, I think, very well. Here we have the little junco in the holly bush. Then I got a surprise. When I looked at the enlarged version of the miniature painting I suddenly realized that not only did it work but when you looked at the brush strokes at first they seemed as if they were very stylized but then there was a sense that there was a snow storm with a slight breeze as the little bird balanced on the branch waiting its turn at the feeder. The leaves seemed to have that blurred movement to them that one got when the sutter speed on the camera doesn’t quite keep up with the movement. It was movement I didn’t expect to capture in this small work of art. Grand Opening! 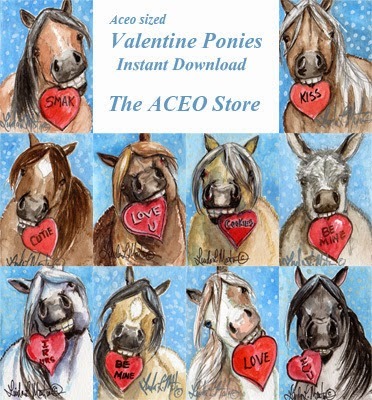 The ACEO Store on Etsy! 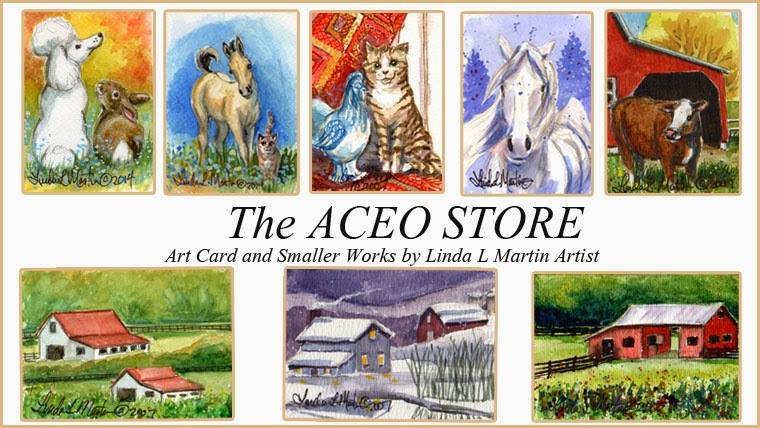 Welcome to the Grand Opening of The ACEO Store! Every once in a while I wake up and discover that I have a lot of art and I need to organize it better so people can really see it. 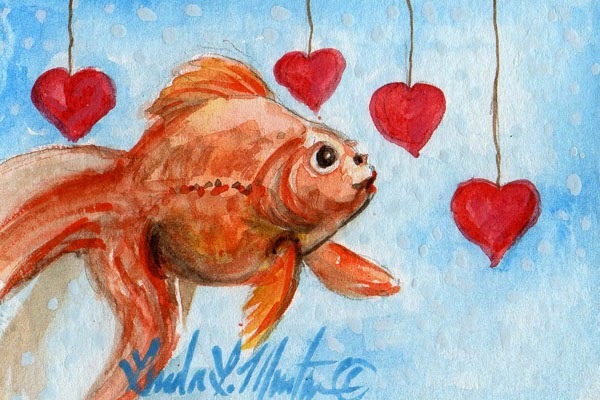 One of the moves in that direction is to create a ship on etsy that deals in miniature art but mostly art in the ACEO format. 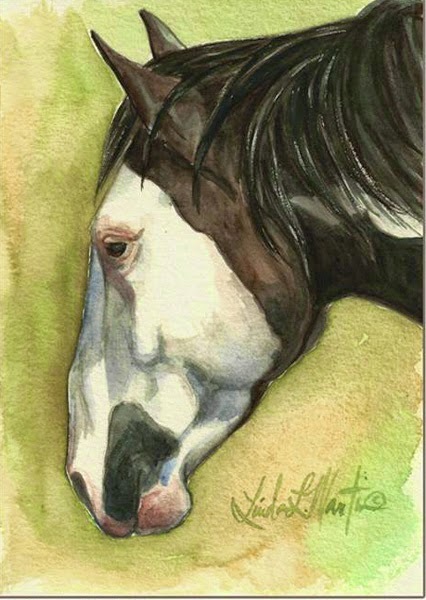 The ACEO format is actually miniature paintings that are 3.5 inches by 2.5 inches in size and will fit into a standard baseball collector sleeve. I admit that sometimes I cut mine by hand and they are slightly off a fraction , however that just makes them all the more interesting. 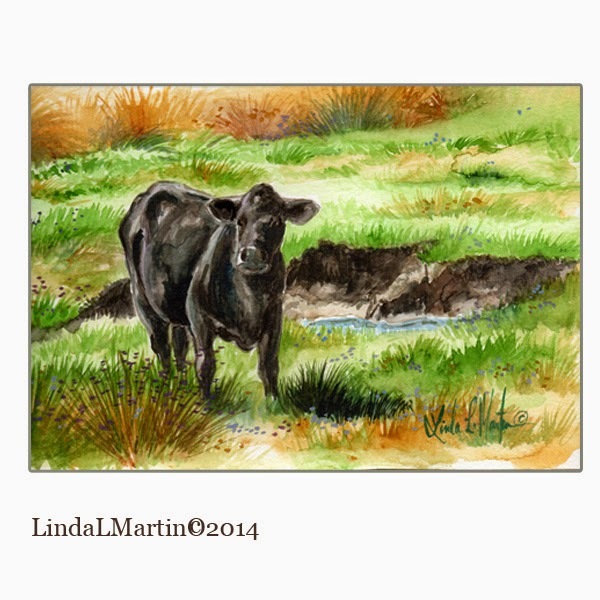 And yes they do fit into the small format and yes they are highly collectible art. 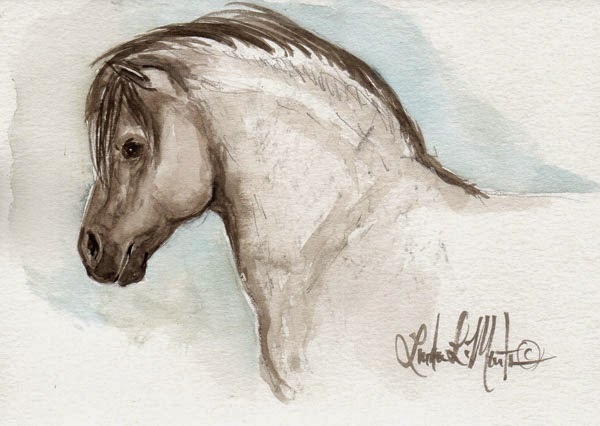 In addition to selling mostly original ACEOs in this store, I will also be selling other smaller miniature works of art and maybe some surprising extra things, yet to be announced in the future regarding miniature art. Come on over and enjoy the Shop. Follow it so you can see new listings as I put them up. 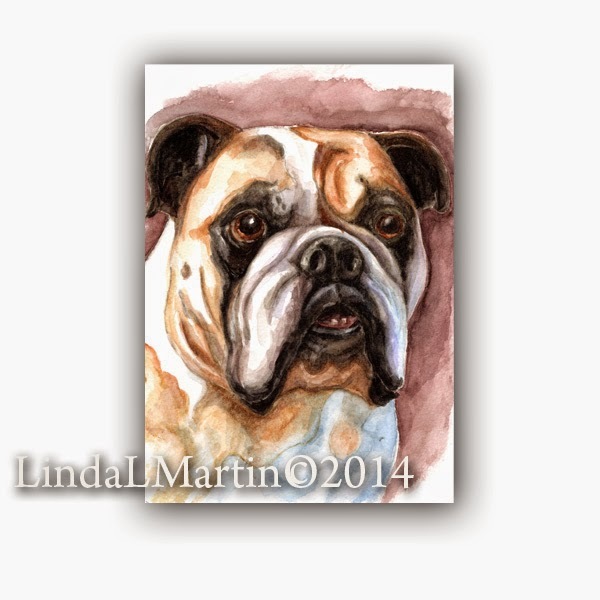 And of course don't forget to favorite my shop so you can share what you see with your friends. No one woke up at art school and decided " I am going to make art to sell so I can make more art". Yet, sometimes for some of us that is how it is. Unless of course you find a very wealthy patron who loves you for your art and just wants the art for its intrinsic sake or potential value; or you are one of the lucky ones who have a successful husband who likes to keep you occupied so he can play golf with his buddies. For the rest of us we are sometimes forced to make "Bread and Butter items" so we can engage in creative endeavors that put the passion of our hearts into the art and gives it voice for all generations. Some of us have a day job that allows us to spend all of our other waking hours making art. Some of us are not funded at all and we just collect junk and make art from it because it is free. The point is we have something in our DNA that drives us to make art. We cannot help it. There are three things that impressed me about Andy Worhal. 2. He had warehouses of art at the time of his death, that were worth billions. 3. His philosophy was "Make Art. And when you are finished, Make More Art." "Paint a story that blesses people and when I am finished paint more stories!" I really do want my art to bless people. In the end its all about how much creativity you can be inspired to use continually, until only the art and it's meaning remains long after you are gone. New Updates and Construction that will make the website more client friendly to view. The www.LLMartin.com Web Page is being upgraded. Stage one is complete. More to be added this week. 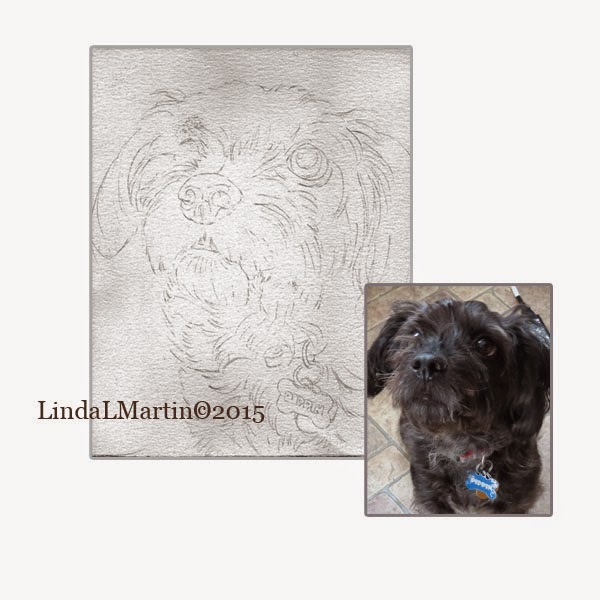 New Beginnings in 2015 to Warm Your Heart! Happy New Year to all my friends, clients and patrons. 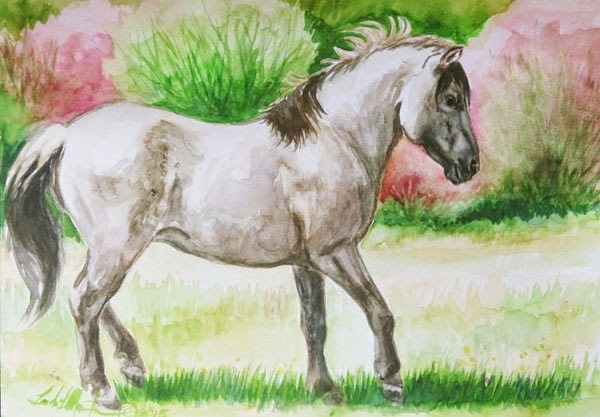 With the start of the new year bringing so many changes in the way that Facebook is approaching the selling of art by independent artists and micro businesses, I am trying to stream line and change for the better, I hope, my way of sharing art. 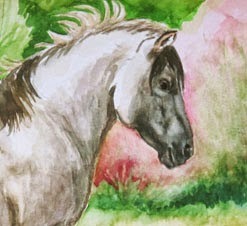 Part of the changes I am making are to put together a new Art Blog that is more all encompassing. All of my other blogs are still there and I will add to them from time to time. This will be my main blog. So here we go into a new adventure and a new year! 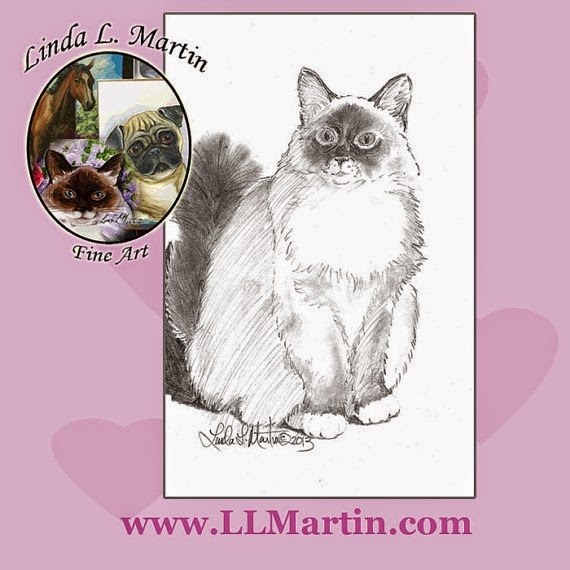 If you would like to receive my new newsletter that comes out periodically via email please email me at info@llmartin.com and I will add you to the email list.